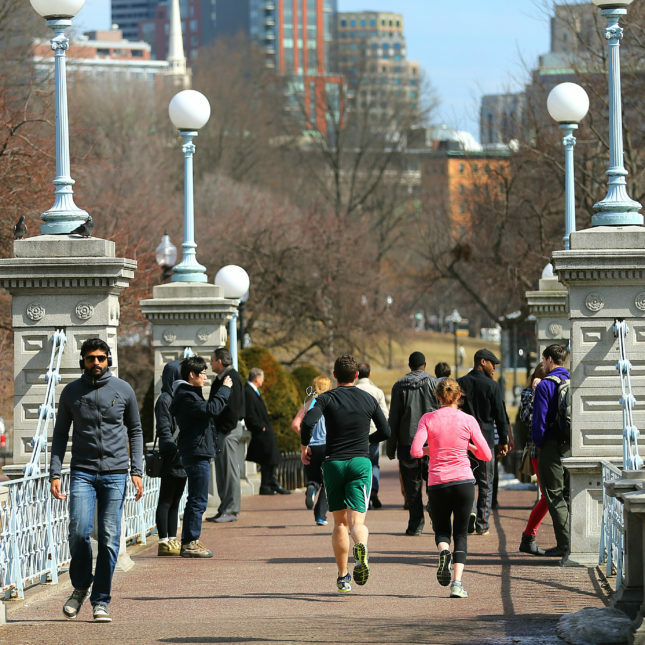 Massachusetts is the healthiest state in which to live this year, according to a new report from the United Health Foundation. The report ranks states on 35 factors that impact health, from vaccination levels and infant mortality rates to environmental pollution and poverty levels. The analysis also pinpoints public health challenges nationwide. One particularly troubling trend: The rate of premature death rose for the third year in a row. That’s a sharp reversal from the 20 percent decline in premature deaths seen from 1990 to 2015. And in the past two years, rates of cardiovascular and drug deaths have also climbed. 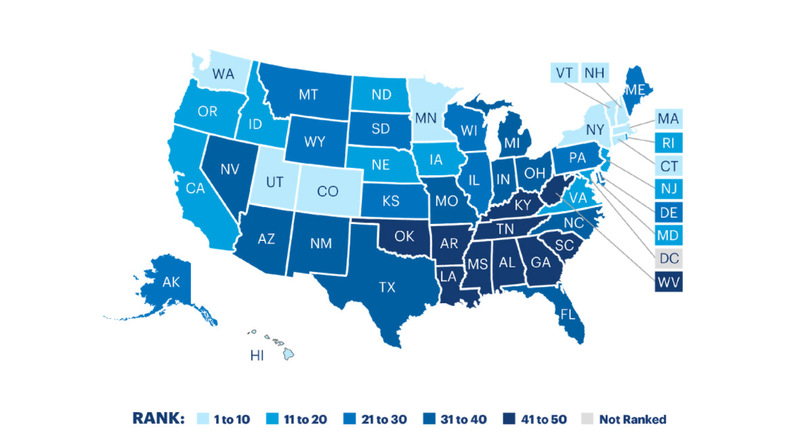 Massachusetts is this year’s healthiest state, followed by Hawaii, Vermont, Utah, and Connecticut. Mississippi was at the bottom of the rankings, with Louisiana, Arkansas, Alabama, and West Virginia also in the bottom five. Mississippi and Louisiana struggle particularly with high rates of poverty among kids, smoking, and obesity. There are wide variations in vaccination rates. Just 31 percent of South Carolina girls ages 13 to 17 have received the full HPV vaccine series that protects against cervical cancer, compared with 73 percent of their peers in Rhode Island. Mental health providers flock to certain states. There are 547 mental health care providers per 100,000 people in Massachusetts. In Alabama, there are just 85. Obesity rates are rising nationwide. The percentage of adults with a body mass index of 30 or higher has climbed 8 percent in the past five years. Low birth weight is still a big problem. Roughly 8 percent of infants were born last year weighing less than 5 pounds 8 ounces, which puts them at an increased risk of health problems. Mississippi, Oklahoma, and New York have seen decreases in the prevalence of low birth weight babies in the past five years. I would like to see these results by metropolitan statistical area because there is likely high variation between regions, particularly in large states like Texas. Massachusetts is basically a big city compared to Texas. This is the one and only trend in the rankings! You can be a racially diverse state and healthy (New York, California). You can be a monolithic state and healthy (Vermont). You can be a diverse state and unhealthy (Mississippi, Louisiana, etc.). You can be a monolithic state and unhealthy (West Virginia). But to be consistently unhealthy, you need to be ruled by Republicans who thinks healthcare is a privilege for those with money. That is a keenly astute observation sir. Well said! Instead of Health Care for all, let’s give tax beaks to millionaires and billionaires. As was to be expected, the Southern states’s rankings are abysmal, and Texas is pretty close. One should be reminded that mental health is part of the overall health condition. That explains why Southerners are perpetuating their Lost Cause of Confederacy, keep voting for pedophiles, and are so enamoured of the Groper in Chief. Look, don’t group us all together. We aren’t like, “Wow all Northerners are rude, liberal, and have terrible tempers.” Some of us are very educated people that are are on your side. So I would appreciate it if you didn’t stereotype. Red states are at the bottom. Well, that’s no shock.